The Elder Scrolls V: Skyrim is, without a doubt, one of the best open-world games ever made. Actually, the game is still being played by many worldwide despite being released in 2011, although developer Bethesda put out a special edition of Skyrim last year, and the game is now available for the Nintendo Switch too. And one aspect of the game that has kept people playing for so long, especially on PC, is the abundance of user modifications (mods for short) available for Skyrim now. There are literally thousands of mods which change certain aspects of the game world (such as the climate) or add new quests and characters such as the ambitious Enderal mod. There are also purely aesthetic mods which simply make the frigid province of Skyrim more beautiful to look at, such as Skyrim Flora Overhaul, which as its name implies makes the flora in the game nicer to look at. 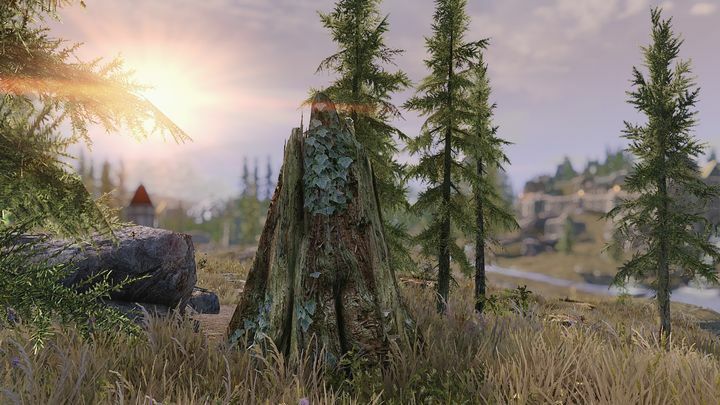 Another mod which aims to make the vegetation in the game prettier is one named “Every Tree Different” (via PC Gamer). This one was made by a modder with a passion for photography, who was a little upset by the fact that almost every single tree in Skyrim’s forests looked the same no matter where you went. So, he endeavoured to rectify this by taking photographs of tree trunks in Finland, and importing these into the game. This means that you should expect to see far more tree variety with this mod installed. 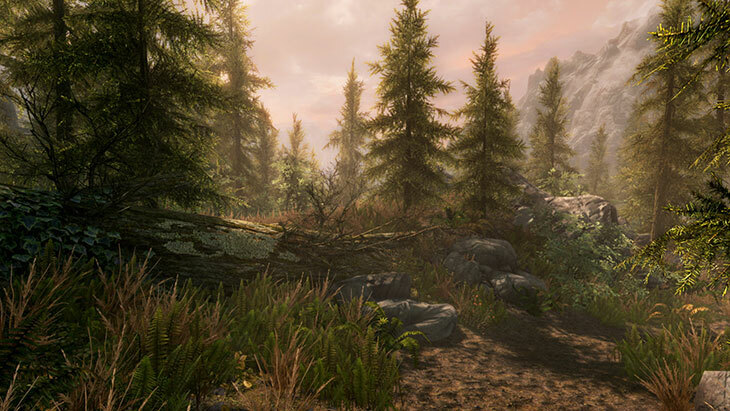 Actually you will be able to spot more than 20 different tree trunks while wandering the forests of Skyrim after adding Every Tree Different to your game, as seen in the video above. Note the fact, though, that this requires Skyrim Special Edition to work. Although looking at the image below it’s clear that getting Skyrim’s latest edition could certainly be a worthy investment in order to experience the plethora of mods that have been released specifically for it since last year. It’s clear, then, that this mod will satisfy those who want their game to look more realistic, making exploring the forests of Skyrim while hunting for treasure or enemies to vanquish an even more immersive experience. And trying out new mods such as this one is something that could tide people over until the eagerly awaited Elder Scrolls VI is released sometime in the future, no doubt.